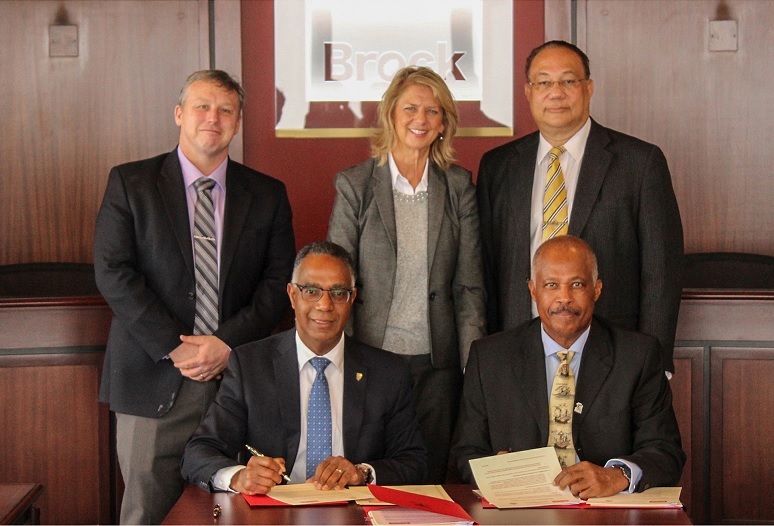 The occasion, hosted at the Brock campus in the Niagara region, Ontario also marked the renewal of two existing MOUs, which serve to promote international and intercultural understanding, academic linkages and enrich the cultural understanding of both universities. They will also will continue to provide mobility opportunities for faculty, staff and students as well as joint research activities between the two institutions. The new Institute for Canada-Caribbean Studies will be the latest addition in a cluster of international centres launched by The UWI in Africa, the US, China and South America. It demonstrates another tangible implementation of the regional university’s thrust to globalise; a key objective framed within its Triple A Strategy (Strategic Plan 2017-2022). This focus, in fact, earned The UWI recognition in the Times Higher Education World University Rankings 2019, for its international outlook which placed it among the top 10% of universities world-wide in this category. 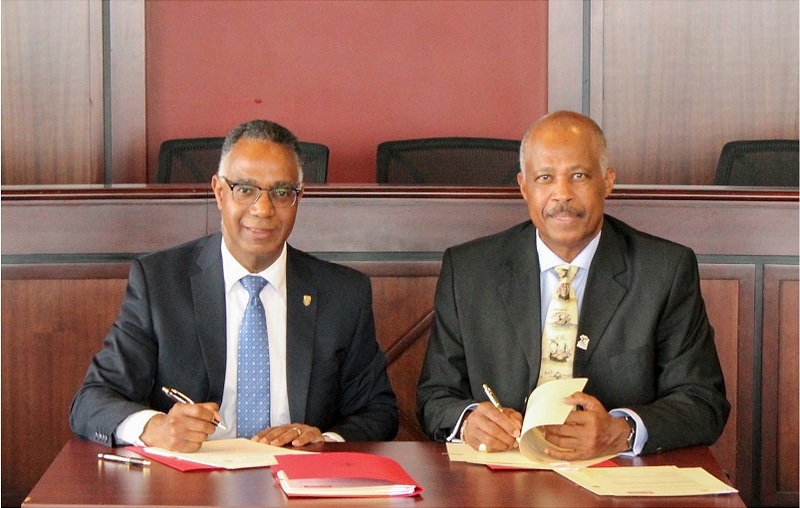 Professor Sir Hilary Beckles, Vice-Chancellor of The University of the West Indies and Gervan Fearon, President and Vice-Chancellor of Brock University, signed three agreements alongside dignitaries from both institutions during a ceremony held on Brock University’s main campus Friday, April 5.